So impressed was Spike Lee by Kevin Willmott’s debut feature, C.S.A. : The Confederate States of America that as soon as he saw the picture's Sundance premiere, he offered to act as the film’s presenter. Spike is nothing if not loyal. Years later, he recalled reading a script of Willmott’s that eventually became the basis for Chi-Raq. Their third collaboration, BlacKkKlansman, finds both men in peak form. Lee’s ‘Scope frames have never been cleaner (or meaner), with Willmott once again proving himself to be this generation’s premier archival satirist, at least until the last few minutes when the film sounds a decidedly deafening wake up call. 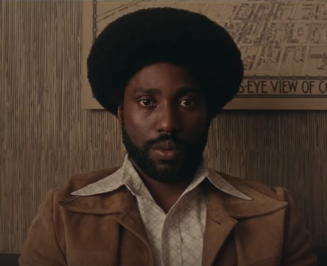 If you had planned on seeing something other than BlacKkKlansman this weekend, don't. And if you've never seen Willmott's C.S.A. : The Confederate States of America, by all means do! Scott Marks: I love Bamboozled, but truth be told, it’s Mel Brooks’ The Producers in blackface. I’d have to give C.S.A. the edge due if for no other reason than its strikingly original concept and painstakingly detailed execution. In both cases, the humor is firmly rooted in truth, but C.S.A. was a real labor of love. You started writing it years before Bamboozled was released. Kevin Willmott: Oh, yeah. We didn’t even know each other back then. We met when C.S.A. got into Sundance. We actually had the same agent at that time. Spike heard about the film and wanted to see it. He was very supportive of the film. It’s presented by Spike Lee. That’s how we met. SW: And in spite of Spike’s participation, it still took another couple of years for the film to receive a theatrical run. It opened here in March 2006. KW: We had a deal with IFC… I’m not trying to dog them — they gave me my big break — but I think they got cold feet in releasing it. I don’t know if they got scared or what the deal was. SM: If I remember correctly, you brought the picture to PBS and they turned it down? KW: Oh, yeah. (Laughing.) That’s kind of a funny story. We received a small grant from a PBS-affiliated bank. When we sold to IFC, they were like, “No! We own this film. We have the first right to show it to PBS.” I said, “Okay. Go ahead and show it to PBS.” (Laughing.) They’d never show that damn thing! They would never get another donation from anybody if they showed C.S.A..
SM: You turned a $20,000 into what looks like a $2 million picture. KW: By the time we wound up paying for rights, it ended up costing around $40,000. That’s one of the reasons I still teach at the University of Kansas. My friends there, we all work together making these underground films, I guess you can say. SM: What was the biggest lesson learned while making the picture? KW: I learned a lot about the balancing act between humor and kind of revealing the ugliness of various issues. All of the "isms." C.S.A. deals with all of them. Specifically, it deals a lot with racism. There’s a balancing act when it comes to exposing those things and entertaining the audience. SM: It took a decade, but Spike didn’t forget you and he brought you on as his co-writer on Chi Raq and now BlackKKlansman. Ditto John David Washington, who got his start playing a bit role in Malcolm X, and here it is 26 years later and he’s the lead in a Spike Lee film. He seems to have a good memory imbued with a streak of loyalty. KW: The fact that he came back after all those years… the script was originally called Gotta Give It Up before it became Chi-Raq and he read it right after we met. That was around 2005 or so. We tried to get it made then, but it didn’t quite happen. Years later he cold calls me asking if I still had that script. When you work with other people, you really see the detriment of not knowing what you want. Spike knows what he wants. It’s a clear mission, a clear view of the world and his films. 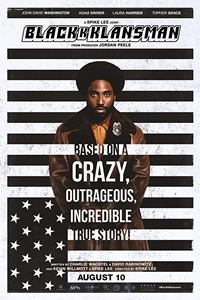 SM: It took the combined efforts of four screenwriters — first-timers Charlie Wachtel and David Rabinowitz and seasoned pros, Kevin Willmott and Spike Lee — to bring Ron Stallworth’s BlacKkKlansman to the screen. Take us through the writing process. KW: Charlie and David were the first two writers, and Spike and I were not involved with the project at that time. Spike called a couple of years ago to tell me about this project Jordan Peele had, and that he was thinking about directing it. The script needed a rewrite, so we looked at it and identified what we would have changed. We met with Jordan and the guys at Blumhouse and shared our take. They liked it, we rewrote the script, they sent notes, we changed a few more things and it went right into production. As projects go, it was one of the more simple kind of processes I’ve ever been involved in. There was never any real searching for the vision or our interpretation of it. Spike said from the very beginning that he didn’t want it to be a period piece. He wanted it to connect to today, and unfortunately that wasn’t really hard to do. That was one of the big things he brought to the project. There were a lot of other elements that we changed to tighten it up and give it a better payoff. SM: The film opens with the money shot from Gone With the Wind. Whose idea was that? KW: Spike and I put that together. He wanted a really strong opening. It also comes from the stuff we dealt with in C.S.A. : Confederate States of America. We’ve never really recognized the other side of GWTW. It’s a romance set in Auschwitz. SM: There’s a moment in the film where Kwame Ture compares African-American applauding for Tarzan to Jews cheering on the Nazis. It seldom happens, but for a minute I was pulled out of the film as I tried to wrap my Jewish brain around around the analogy. I know the Tarzan films are racist — in one of the later installments, hunters tie a rope around a black child and toss him in the water as a decoy to lure alligators. I’m suddenly ashamed to admit that I own the two Tarzan box sets. KW: We all grew up watching and loving those films, never once putting those two things together. The same goes for Gone With the Wind. I don’t know how many times I saw it as a kid. You kinda ended up divorcing yourself from the black people in the film. It’s a protective mechanism that you had when you were it kid: That’s not me. That’s somebody else. The older you get, you begin to grow into your own self-awareness as an African-American. You start to understand that’s not a good thing. (Laughing.) That’s what Kwame Ture was talking about in that speech. intermediary pretty much become obsolete? Why didn’t Flip just go ahead and make the calls? After all, he was the point man. KW: The real story… the reality of the situation evolves over long periods of time. What we do in the movies is we try and take what in essence was months, if not years, and reduce them to a dramatic situation. The other part of it is, hate groups are not very smart. They just aren’t. It doesn’t take a lot of intelligence to talk about violence and sell hate. When they’re on the phone with people, particularly back in the seventies… it would be a little harder today. There’s a element in hate groups that thrives on developing friendships… looking for companionship among like-minded types of people. They could have been a million miles apart, but it’s the desire of them wanting to talk to each other and wanting to bring allies in to compliment them on how smart they are. It was that kind of desire that made all of that work in the reality of Ron’s conversations.